Blugre Coffee serving Halo-halo Torte soon! 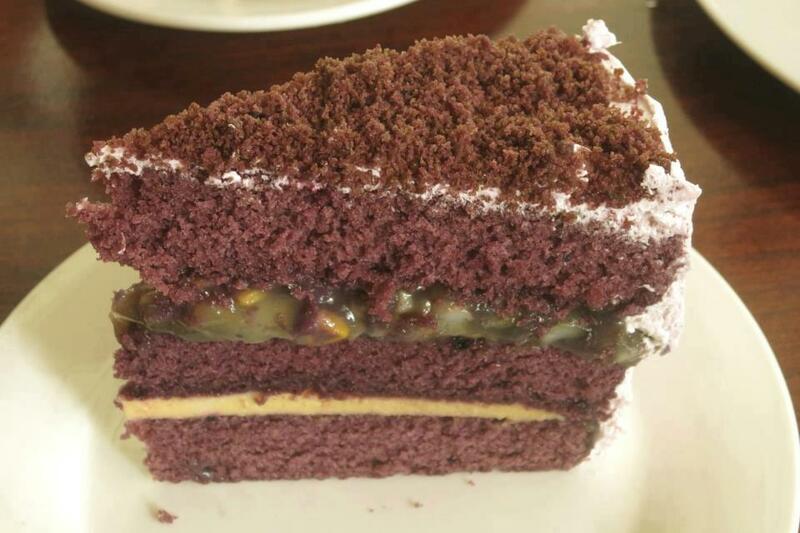 Savor the King of Coffee new Halo-Halo Torte to be serving in no time soon. After being marked of having sumptuous cakes and desserts, here comes a new taste that everyone would love to taste. Blugre Coffee is know for providing great taste of coffees in Mindanao but now gearing to conquer the country and soon the world. Chocolate Torte and Oatmeal cookies is my personally choice to be paired with any coffee: frap or hot every time I visit the shop, but now after luckily invited to first taste the Halo-Halo Torte, I easily get fell in love with it. Blogging it as a must taste cake they have, but it's not being offer yet. Best paired with their signature coffee, the Gatchpuccino. Keep visiting their facebook for the biggest announcement of release of Halo-Halo Torte in all Blugre Coffee shops. Don't also forget to join their online contest and win as big Php3000 Blugre Coffee gift certificates. Starmobile; when is the Time to FLIRT? Wanted to reach the star? How about shooting some hearts as Starmobile bring us their new smartphone, the Flirt this Love Season which created a clamor on social networking site like Twitter using the hashtag #TimeToFLIRT. A way of promoting the new unit in the online marketplace. 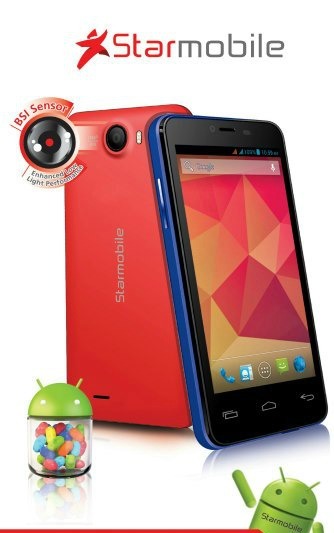 Available in Ultra Blue and Ultra Red colors with free memory card and screen protector. Reasonable price at Php9, 290. You can buy online at Lazada.com.ph and Zalora.com.ph. Now there's been this kind of men's salon that can do much more than the traditional barbershop ever did. I'm actually a fan of this male salon that caters all a guy needs. -And now to spice up more their services, they just offer another pampering treatment that everyone would love to experience. Upon offering this, I am thinking that they're thinking that there's no better way of treating us like heaven than to give our sore feet a wonderful foot massage. or visit Macho Mucho at the 3rd level of SM City-General Santos. It's more than a campaign nor a treat but rather giving happiness to Love Season whether single or in a relationship. Very timely what Nestle Drumstick Philippines did after giving a duo treat to bunch of followers on both social networking sites: Facebook and Twitter. Since, Valentine is just around the corner, pouring some sweet treat will satisfy everyone's cravings. Lucky to be part of the list to received a special gift from them. 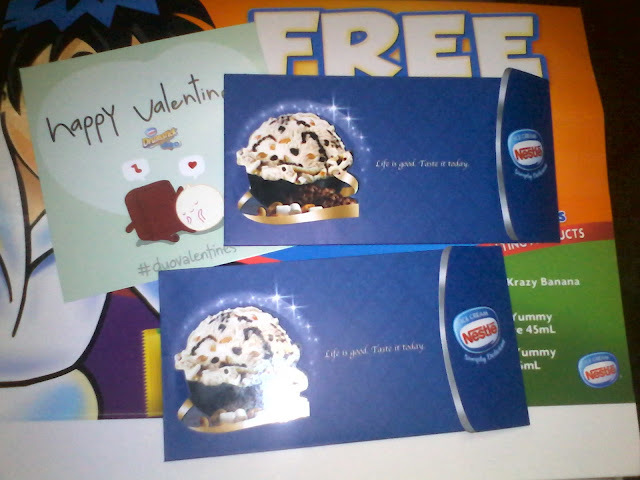 Just in time since I got their package on the date of Valentine's Day. Well, if you're in a remote area or like living in visayas and Mindanao, you will received a Duo gift certificates while people living in or near the metro will get a bouquet of Duo Drumstick, e-Plus cards, shirts and other surprise stuffs they stored for everyone. After the youtube video "Gangnam Style" goes viral, here comes another music sensation that gained sacks of popularity all over the world through the power of social networking sites. There were different versions and music videos from random group of people worldwide dancing to the music of "Harlem Shake". Unlike gangnam, Halem shake has no dance moves to follow, all you have to do is to groove like no one is around and act crazy like as is. LOL. Talking about this, after the world dance, generals in representation of our beloved traffic enforcers do their own Harlem shake style. These are the traffic enforcers of General Santos wearing their new pink uniform. I have a big respect on these people. The HAPPENINGS is a blog post with random topic. I created to feature random things that might be of importance to my readers. This is a monthly post with random short articles. Posted to sum-up other random things during the previous month. This is the first and will do this monthly.